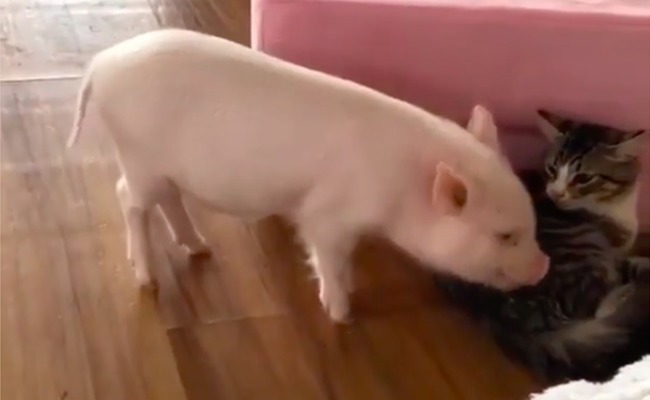 This baby pig is just over here living her best life. Silly pig doing a piggy happy dance ! I just joined 55,000 others in signing a petition to the Pope to go vegan. How funny. Bet there is a lot of laughter in that house.